On an usually sunny day in July 2016, Kent Cricket Week is underway in Tunbridge Wells, with the County team playing Sussex at the Nevill Ground. Cricket Week has a long history here. In the early 20th century it was marked by major celebrations. The town would be festooned with bunting and lit up by gas and electric illuminations. Shops would decorate their windows with elaborate and inventive displays of flowers, fruit and produce. Amateur theatrical groups and brass bands would provide entertainment. At times it seemed as though the matches were of secondary importance, although they drew large crowds, of both locals and visitors. As far back as 1750, Lady Jane Coke referred in a letter to cricketing as one of the amusements available for visitors to Tunbridge Wells. 1782. The Tunbridge Wells team were narrowly defeated by Groombridge. 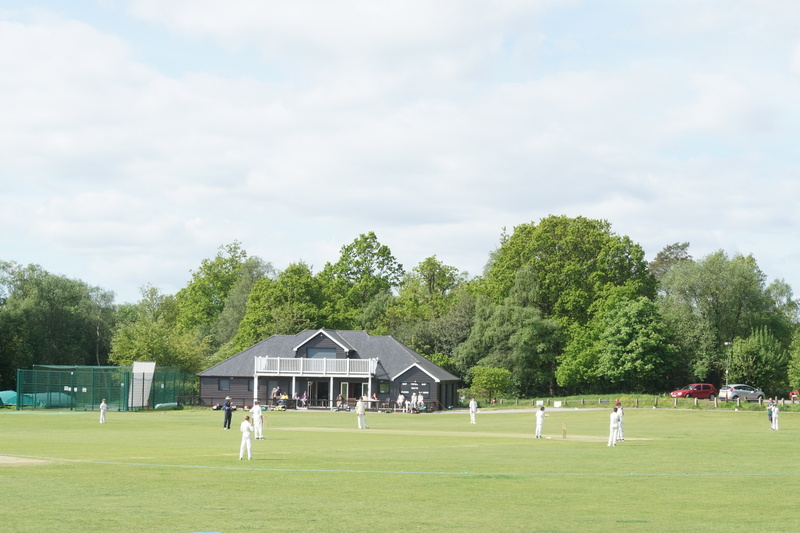 (According to Groombridge Cricket Club’s website, this match was played in their village, although elsewhere it is reported as the first match to have been played on the Common). 1787. The Marquis of Camarthen bet 500 guineas on two Tunbridge Wells players, Hoskins and Young, beating any six men in England at cricket, two at a time. The first match took place in Tunbridge (Tonbridge) on August 11th and the pair were defeated, losing the Marquis his bet. 1828. In a field near Tunbridge Wells a cricket match was played between eleven old ladies of Tonbridge and eleven young ladies of Southborough, the prize being three bottles of gin and three pounds of the best gunpowder tea. The older ladies won by 52 runs. 1844. A First Class cricket match was played on the Common for the first time, between a team of the best married players in England and a team of the best bachelor players in England. A section of the Common was fenced off, booths and marquees were erected and a large crowd arrived to watch, including celebrities and members of the nobility. The married players won by nine runs. 1845. The Kent County cricket team played on the Common for the first time, against Sussex. (County matches were played on the Common for around 40 years). 1862. A new gentlemen’s cricket club was founded, known as the Blue Mantles. 1863. A match between a ‘Handsome’ team and an ‘Ugly’ team drew a large crowd of spectators, especially ladies. The Handsome team won by an innings and 36 runs. 1876. The Linden Park Club was founded, as the Tunbridge Wells Juniors. The following year they moved to play at the Lower Ground on the Common and adopted the name by which they are still known. 1882. In July renowned cricketer W G Grace played for a United Eleven of England against a touring Australian side, on the Higher Ground. He was cheered as he took to the crease, but scored only 23 runs. The Australians suffered a batting collapse in their second innings, scoring only 49 runs, but time ran out and the match was declared a draw. In 1885/6 the lower cricket ground was levelled, enlarged and enclosed. However, from 1885 County matches were no longer played on the Common, due to concerns over the quality of the pitch. 1898. The Nevill Cricket Ground opened, on land purchased from the Marquis of Abergavenny. In 1901 Kent County cricket club played their first match at the Nevill Ground. Cricket week resumed the following year and the Kent County team have played there most years since. 1913. 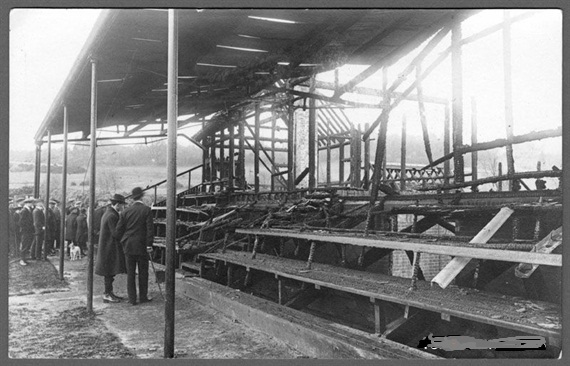 On the night of April 11th, just three months before Cricket Week was due to take place, the Nevill Pavilion was burnt to the ground. A suffragette newspaper was found at the scene and, since the suffragettes currently had a country-wide arson campaign in full swing, it was assumed that they were responsible. Sir Arthur Conan Doyle addressed a meeting at the Great Hall, held to protest at the outrage committed by these ‘female hooligans.’ Funds were raised, the pavilion was quickly rebuilt and Cricket Week went ahead as planned. 1983. On June 18th Kapil Dev scored 175 runs in India’s World Cup victory over Zimbabwe, at the Nevill. India went on to win the tournament. This entry was posted in 18th century, 19th century, 20th Century, Sport by annecarwardine. Bookmark the permalink.